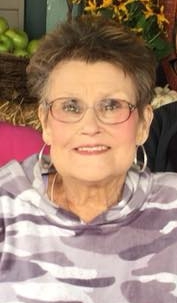 Graveside Services for Nyla Ann (Hastings) Edwards, 71 of formerly of Sallisaw, Oklahoma will be at 1 pm on December 5, 2018 at Sallisaw City Cemetery in Sallisaw, Oklahoma under the direction of Agent Mallory Martin Funeral Service, Inc.
She was born on August 19, 1947 in Ft. Smith, Arkansas to Fern (Oliver) Hastings and Marion Hastings and passed away on November 30, /2018 in Tulsa, Oklahoma. She was married to Lonnie Edwards on August 26, 1964 in Sallisaw, Oklahoma. She was the Director of Cookson Hills Community Action Foster Grandparent Program. 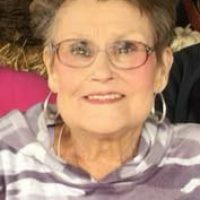 Viewing will be Tuesday 4 – 8 pm at Agent Mallory Martin Funeral Home in Sallisaw. The family will greet Tuesday from 6 – 8 pm at the funeral home.